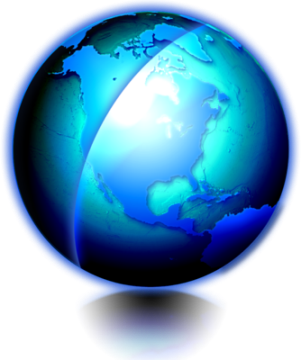 Potatoes grow all around the globe and have been found in the diets of human since the beginning of time. They are more than just a delicious touch to any meal of ours. Potato Juice possesses immense healing abilities and overall health benefits. 1.Potato juice acts as an exceptional an anti-inflammatory agent that works great for arthritis and various other types of inflammatory disease, aches and pains, particularly joint and back pains. Moreover, potato juice will regulate blood circulation to every area of the body. 2.Potato Juice is very alkaline in nature. Hence, it tends to work to alkalize the body in order to shield against diseases such as cardiovascular disease and even cancer. 3.Potato Juice is good for eczema and even acne as it aids to to clear up your skin in a little period of time. 4.While potatoes in their cooked form are used as weight gainers, potato juice surprisingly aids in losing weight. To make your weight-loss regime just a little bit bit more better, consume one cup of Potato Juice in the morning before breakfast one cup 2 to 3 hours before going to bed at night. It is totally normal if Potato Juice doesn’t taste that good to you. What you can do is mix it with other juices like carrot juice and mix in some honey so it doesn’t taste that bad to you. 5.Potato Juice can do wonders for gout. It helps the discharge of uric acid from the body. 6.Potato Juice helps lower cholesterol levels in the body. That in turn helps improve your over all state of health and well being since high cholestrol levels lead to various diseases. 7.Potato Juice is also one of the affordable detoxing agent options out there. If you’re looking to flush out your liver and gallbladder then you might want to give Potato Juice a go. This amazing drink has also readily been used in Japan and other places in the world to effectively treat hepatitis. 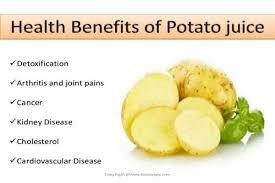 8.Multiple Studies have proven that Potato Juice works effectively for treating pancreatitis and kidney disease. There is also some evidence out there that suggests that Potato Juice works well for diabetes and high blood pressure. 9.Potato Juice will guard against the formation of calcium stones in the urinary tract. 10.Potato Juice has also been use for the treatment of tumors and cancer. Red and purple potatoes comprise of high amounts of anthocyanins that inhibit the growth of cancer cells. Yellow and Orange fleshed potatoes contain an abundance of zeaxanthin which is helpful for good vision. -Make sure to use fresh ripe potatoes. -Use Potatoes that are free of back spots, new sprouts and green areas. The green areas contain toxins, so remove them before juicing. -You may add carrot juice to Potato Juice, or even herbs like nettle, sage and spirulina for enhanced nutrition. Potatoes are awesome, give Potato Juice a try if you haven’t already It might just change your life!